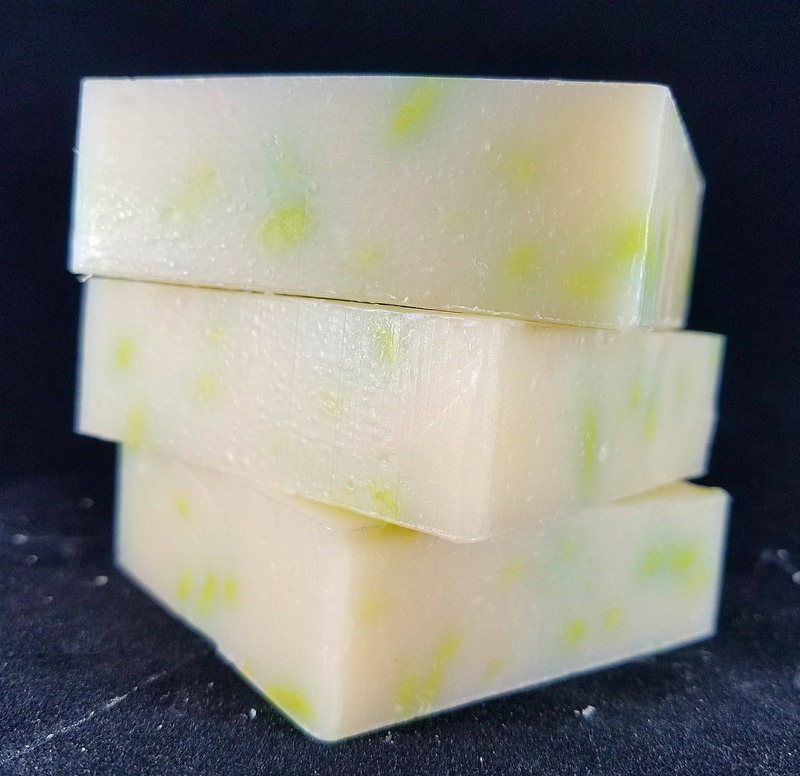 Our Kaffir Lime Soap is a delightfully fragrant homemade soap. 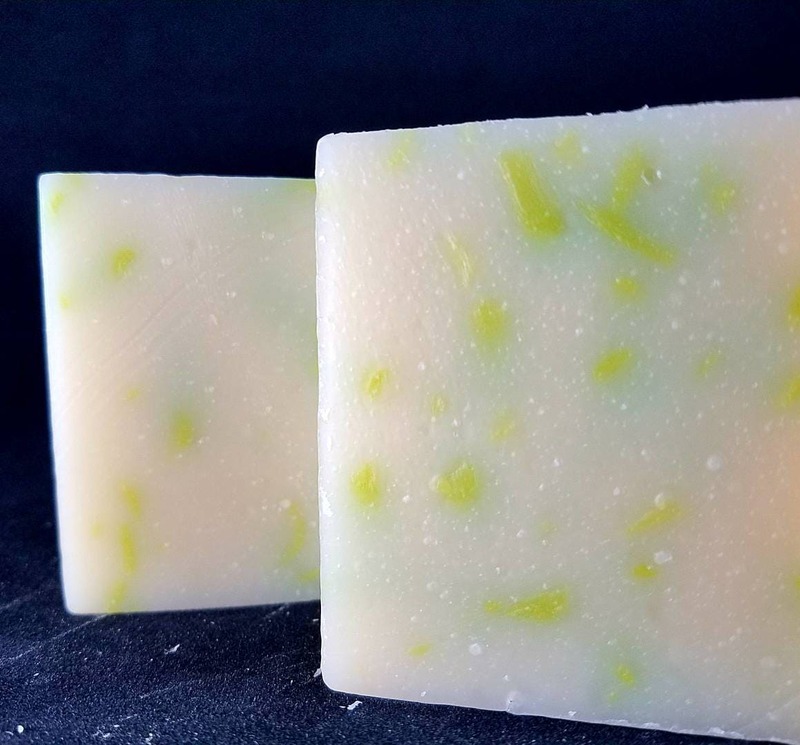 This fresh citrus soap boasts the scents of springtime with delicious lime. 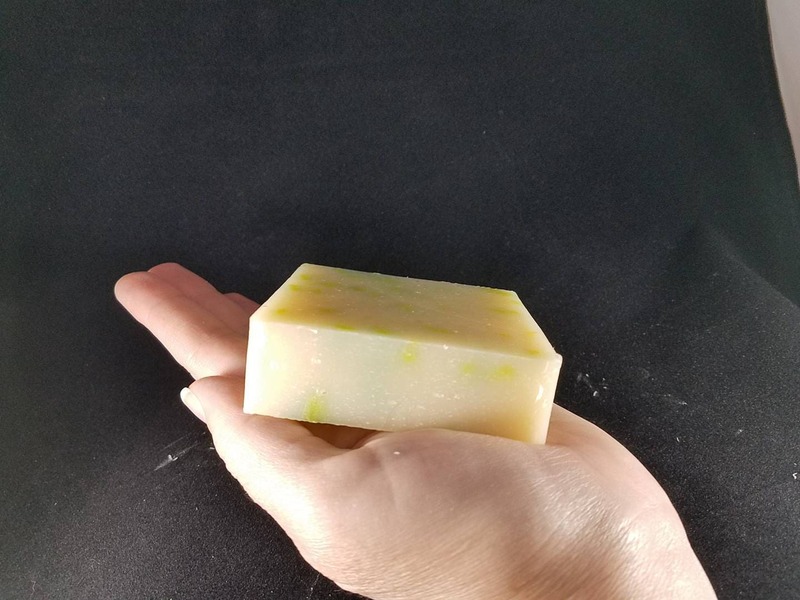 Rejuvenate your senses with the aromatherapy of refreshing citrus. 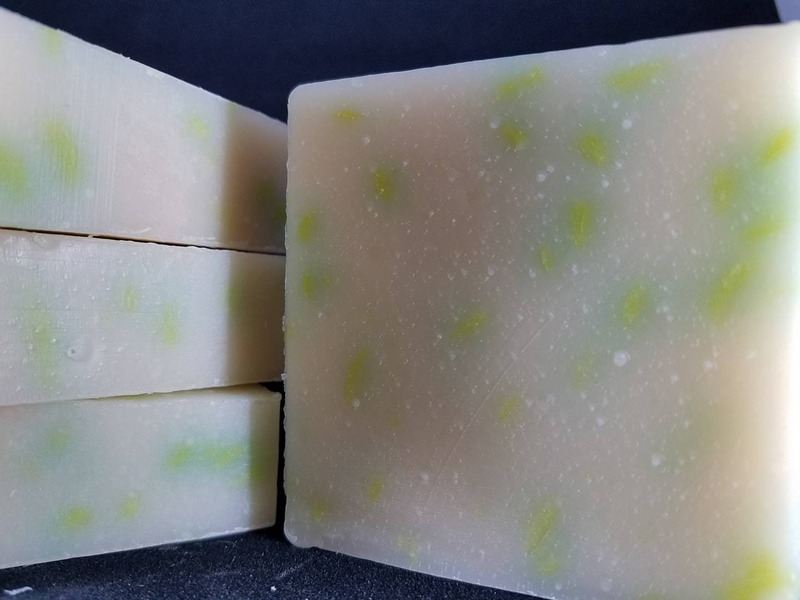 The bar is light cream with green spots. 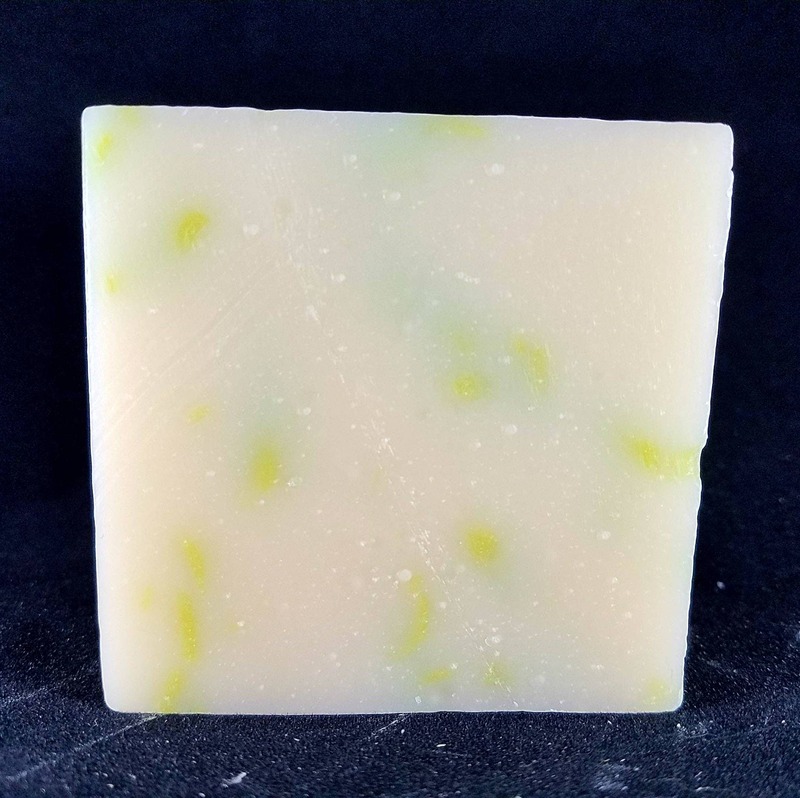 Kaffir Lime soap by Glamorous Baths is a natural lime essential oil soap. These delightful essential oils are believed to be a natural mood enhancer and an energy boost. 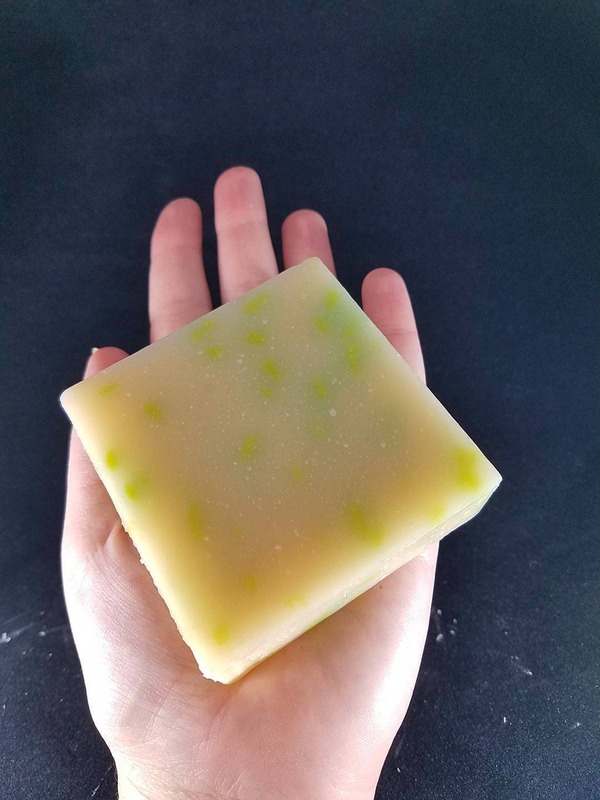 Get the best of both worlds when you use this wonderful soap in the bath.